The Ensemble Eolien Catalan wind farm is located in the municipalities of Baixas, Calce, Pézilla-la-Rivière and Villeneuve-la-Rivière, Pyrénées-Orientales department. 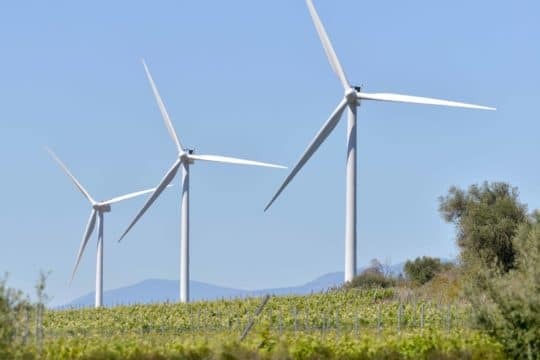 Developed, built, commissioned and operated by EDF Energies Nouvelles, EDF Group subsidiary dedicated to renewable energy, the wind farm is comprised of 35 turbines, each with a unit capacity of 2-3 MW. 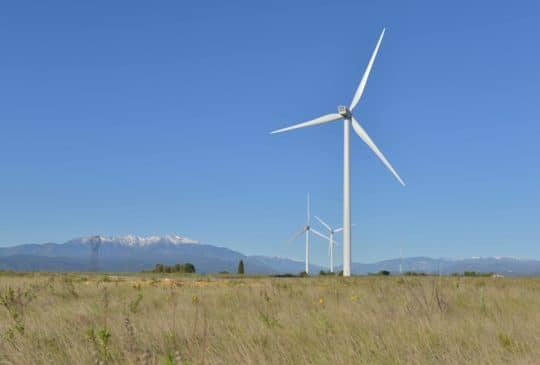 The 96 MW Ensemble Eolien Catalan facility is now France’s most powerful wind farm, ahead of Salles-Curan (87 MW), commissioned by EDF Energies Nouvelles in 2008. Output is equivalent to the annual electricity consumption of 120,000 people, or 25% of the department’s population. This high-tech facility is equipped with “stealth” wind turbines. 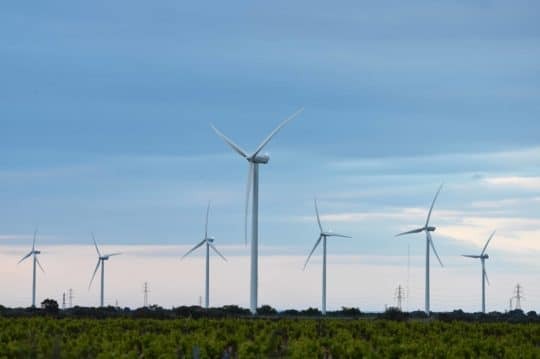 This innovation, borrowed from the military stealth technology, is the result of a partnership between EDF Energies Nouvelles, Danish turbines manufacturer Vestas and QinetiQ, the international defence, security and technology company. With a technology that sharply decreases the reflectivity of their components, the stealth wind turbines significantly reduce their footprint on the radars operated by Météo France, such as the one located close to the wind farm. The wind farm will be operated and maintained by EDF EN Services, EDF Energies Nouvelles’ dedicated subsidiary.